Welcome to the iFit Data Analysis library ! "Simple methods to be used for complex data analysis"
The iFit library (pronounce [eye-fit]) is a set of methods to load, analyze, plot, fit and optimize scientific data sets and models, and export results. 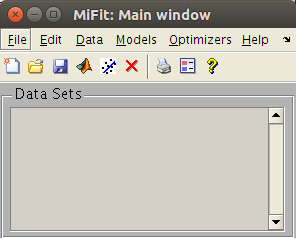 iFit is based on Matlab, but can also be launched without Matlab license (stand-alone version). The library focuses on doing the math right. Any text file can be imported straight away, and a large set of binary files are supported. Any data dimensionality can be handled, including event based data sets (even though not all methods do work for these). Any model can be assembled for fitting data sets. The library can be used from user interfaces, or from the prompt as a set of commands and scripts. Have a look at the Quick Start or the iFit standalone page. There, you mostly manipulate iData and iFunc objects. an advanced yet simple user interface to load data sets, plot, transform, export, and fit. Get more details about what's in the box. To download and install the package, refer to the Install page. We then recommend that you start with the miFit user interface. If you do not know Matlab already, you will discover that using the iFit library does not require advanced IT knowledge. The general syntax are rather intuitive, and all methods are able to tolerate (and correct) most of the user mistakes. In this respect, when some of the input parameters are missing, sensible choices can be made automatically. 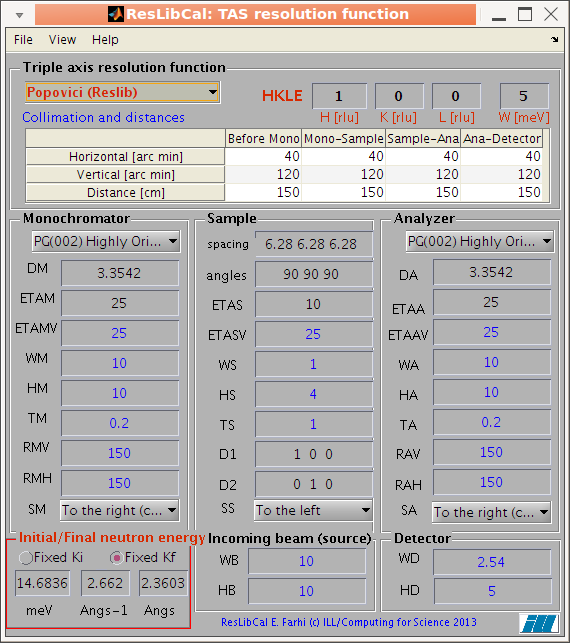 You can look at the iFit standalone page, where a short Matlab introduction is available. If you have used in the past the MFit/MView suite, you will find that this library has the same scope, but omitting the user interface. If you have used the Spec1d object, you will quickly find that the iFit follows exactly the same syntax. If you come from the Python world, you will find out that the iFit syntax is pretty close. We provide for you a Python interface to iFit which exposes iFit objects and methods into Python. Refer to the PyFit page. and help pages for each function/method, which you can access with e.g. A Tutorial (Jan 2012) is available as PDF presentations with exercises. 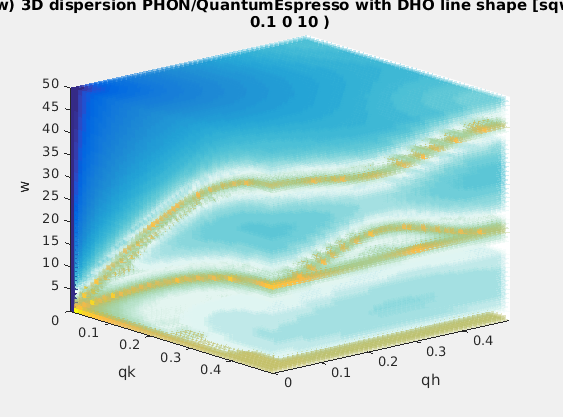 Finally, the whole Matlab documentation is available on-line for free, especially to complement the standalone limited help system. A list of bugs and release history is recorded in the Changes page. a copy of the error messages produced by the script/command. The ifit-users is the list set-up in order to exchange information (issues, questions, announcements). Messages should be sent to ifit-users@mccode.org. To install the package, refer to the Install page. See the Changes. Installation for Linux Debian-class systems is simplified using package managers - see here. When starting from scratch, we recommend installing a Ubuntu system, then add package ifit-phonons from our Debian repository. Please register to the ifit-users mailing list. iFit was invented by E. Farhi and took many years to come to you. Substantial contributions from Y. Debab and P. Willendrup. 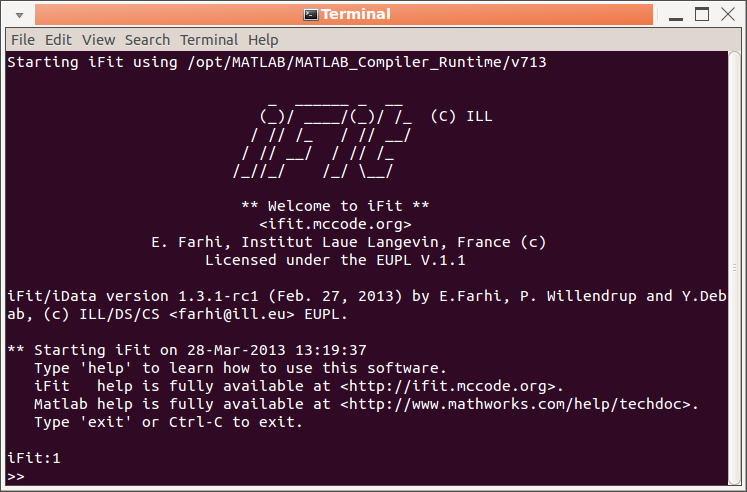 E. Farhi, The iFit data analysis library, ILL, Computing for Science (2011-2012) <http://ifit.mccode.org>. 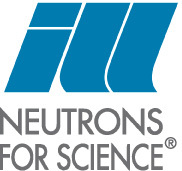 iFit is a product from the Computing for Science group at the Institut Laue-Langevin, Grenoble, France. See the Credits page for more information on contributions, including licensing. A set of links to related packages is also included there. If you wish to contribute, send suggestions, scripts, and new functions/methods to [farhi (at) ill.fr]. Your contribution will then be included in the next release, with proper credits to the authors. An other solution is to use the GitHub 'pull request' mechanism, i.e. login at GitHub, fork your own iFit repository, modify it at your convenience, and then mark changes for inclusion back into the master iFit branch. These changes will then eventually be validated, and inserted into the project.